Bio. Kevin C.C. Chang is a Professor in Computer Science, University of Illinois at Urbana-Champaign, where he leads the FORWARD Data Lab for search, integration, and mining of data. He received a BS from National Taiwan University and PhD from Stanford University, in Electrical Engineering. His research addresses large scale information access, for search, mining, and integration across structured and unstructured big data, with current focuses on "entity-centric" Web search/mining and social media analytics. He received two Best Paper Selections in VLDB 2000 and 2013, an NSF CAREER Award in 2002, an NCSA Faculty Fellow Award in 2003, IBM Faculty Awards in 2004 and 2005, Academy for Entrepreneurial Leadership Faculty Fellow Award in 2008, and the Incomplete List of Excellent Teachers at University of Illinois in 2001, 2004, 2005, 2006, 2010, and 2011. He is passionate to bring research results to the real world and, with his students, co-founded Cazoodle, a startup from the University of Illinois, for deepening vertical "data-aware" search over the web. (August 2018) Chaochao Chen, who visited the group two years back-- got his work accepted to TKDD: Semi-supervised Learning Meets Factorization: Learning to Recommend with Chain Graph Model. Good job. Congrats Chaochao and Xiaolin Zheng. (February 2018) Congrats Mangesh and folks! The paper of the foundational data modeling for DataSpread will go to Paris for ICDE 2018. Get PDF. (January 2018) Looking for a survey for graph embedding? Look no further. Congrats to Hongyun and Vincent for the brand new survey-- comprehensive and full of insights :) Will appear in TKDE. Get PDF. (December 2017) DataSpread Fall 2017 release. Check it out! New features include navigation of large spreadsheets, improved data importing, formatting, asynchronous formula evaluation, and multi-user access. (January 2017) What is a "community"? What distinguishes one community from another? We proposed the interesting problem of community profiling-- and -- and it just got accepted to VLDB 2017! Congrats Vincent and Hongyun! Get PDF. (January 2017) Our DataSpread project -- Interactive Database via Spreadsheet -- just made the first release! Check out Release 0.1. (October 2016) Our paper "Semantic Proximity Search on Heterogeneous Graph by Proximity Embedding" is accepted to AAAI 2017! Get PDF. (September 2016) Thanks NSF! Our DataSpread: Enabling Interactive Big Data Management project is awarded NSF Award 1633755, $1,795,429, BIGDATA: F: Bringing Interactive Data Management to Scientists, Analysts, and the Masses: A Holistic Unification of Spreadsheets and Databases. PI: Kevin C.C. Chang, and Co-PIs Karrie Karahalios and Aditya Parameswara. News. (August 2016) Thanks NSF! Our BigSocial: Towards Big Social Data Platform for Entity-Centric and User-Aware Analytics project is awarded NSF Award 1619302, $500,000, III: Small: Social Discovery of Users and Content in Social Media Through Similarity-Based and Graph-Based Inference of Attributes and Queries. PI: Kevin C.C. Chang. News. Research. I lead the FORWARD Group, which is part of the larger Data and Information Systems Laboratories, at the CS department of UIUC. Our research overall aims at bridging structured and unstructured big data--- to bring structured/semantic-rich access to the myriad and massive unstructured data which accounts for most of the world's information. Therefore, our research spans across data mining, data management/databases, information retrieval, machine learning, with current efforts focusing on interactive data management, entity-centric Web search and mining, social media analytics, and social network mining. As our objectives, we aim at developing novel systems, principled algorithms, and formal theories that ultimately deliver real world applications. As our approaches, we seek to be inspired by and learn from the data we are tackling-- i.e., we believe the key to tame big data is to learn the wisdom hidden in the large scale of the data. Founded Cazoodle: Search, integrate, and organize the real world, a UIUC startup aiming at bringing forward data-aware search, the objectives of the MetaQuerier and WISDM projects, to the world. Classes. I teach database systems and data mining, with the following recent courses. Vincent Wenchen Zheng. Postdoc Scientist. August 2017. First employment: Research Scientist, Advanced Digital Sciences Center, Singapore. Yuan Fang, Walking Forward and Backward: Towards Graph-based Searching and Mining. July 2014. First employment: Research Staff, A*STAR, Singapore. Mianwei Zhou, Entity-Centric Search: Querying By Entities and For Entities. July 2014. First employment: Research Staff, Yahoo! Labs, Sunnyvale, California. Rui Li, Towards a General Platform for Analyzing Social Media. Dec. 2013. First employment: Research Staff, Yahoo! Labs, Sunnyvale, California. Hady W. Lauw. Postdoc Scientist. Nov. 2011. First employment: Assistant Professor, Singapore Management University, Singapore. Tao Cheng, Toward Entity-Aware Search, Jun. 2010. First employment: Research Staff, Microsoft Research, Redmond, Washington. 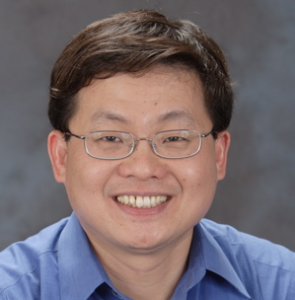 Chengkai Li, Enabling Data Retrieval: By Ranking and Beyond, Jun. 2006. First employment: Assistant Professor, University of Texas at Arlington, Arlington, Texas. Zhen Zhang, Large Scale Information Integration on the Web: Finding, Understanding and Querying Web Databases, Dec. 2006. First employment: CTO, Cazoodle Inc., Champaign, Illinois. Bin He, A Holistic Paradigm for Large Scale Schema Matching, Jun. 2006. First employment: Research Staff, IBM Almaden Research Center, San Jose, California. Seung-won Hwang, Supporting Ranking for Data Retrieval, Jun. 2005. First employment: Assistant Professor, Pohang University of Science and Technology, Pohang, Gyeongbuk, Korea. Academy of Entrepreneurial Leadership Faculty Fellow Award, 2008. IBM Faculty Award, 2004, 2005. NCSA (National Center for Supercomputing Applications) Faculty Fellows Award, 2003. National Science Foundation CAREER Award 2002. UIUC List of Teachers Ranked as Excellent by Their Students, Fall 2001, Spring 2004, Fall 2005, Spring 2006, Fall 2010, Fall 2011. Philips Research FMA Fellowship, 1996 - 1998. Associate Editor for PVLDB 2015, Apr. 2014 -- Mar. 2015. Associate Editor for IEEE Transactions on Knowledge and Data Engineering, Jan. 2013 -- Present. Track Chairs/Senior PC Members: WWW2014 (Workshop Track), AAAI 2013 ("AI and the Web" track), WWW 2013 ("Bridging Structured and Unstructured Data" Track), WSDM 2012 (Best Paper Award Committee), ICDE 2011 (Demo Track), WSDM 2011, KDD 2010. PC Members for SIGMOD, VLDB, ICDE, KDD, ICDM, WWW, SIGIR, WSDM, CIKM, AAAI in recent years. Keynote Talk, Vertical Search Relevance Workshop, WWW 2014, April 2014. Tutorial: Towards a Social Media Analytics Platform: Event Detection and User Profiling for Twitter, Tutorial at WWW 2014, April 2014. Tutorial: Data-Aware Search over the Web: Large-Scale Mining and Integration, Short Course at ADSC, January 2010.